Loyalty programs continue to flourish but do these programs really cultivate loyalty? Probably not because genuine loyalty is developed on a number of factors that differ from consumer to consumer, retailer to retailer and sector to sector. For instance, for a grocery store, price and discounts could be the key drivers for loyalty, while for an apparel store, it’s the quality, design elements and fitting that will make a customer loyal to a particular brand. In the current globally connected marketplaces, business is focusing on loyalty points that reward the consumers based on their past purchases and provide them incentives for further purchases in the future. They are working on the reward programs that promote retention and strong value offer to the customers. The key operational drivers for loyalty programs include the rise in new mobile technologies and increased organizational focus on customer segmentation. Global loyalty management market has been valued at USD 1.94 billion in 2016 and projected to reach USD 7.305 billion by the end of 2022. Given the sophistication of online loyalty and reward management solutions, many organizations prefer to choose a loyalty management program offered by a vendor specializing in loyalty management. In a world where brand experiences and instant gratification are standard, businesses need efficient and global loyalty programs to retain the customers. Blockchain technology could address such customer loyalty issues. With a streamlined process located on a distributed ledger, the customers need not move through different brands and franchise owners to redeem their points. A blockchain based solution reconciles data from multiple sources for streamlined user experience. A loyalty blockchain solution offers the further advantage to SMEs in that it makes them capable of competing with the big names and established players in the markets. Smartphone apps are set to become more prominent in loyalty programs with consumers making frequent use of their smartphones instead of plastic cards in near future. In the US, Walmart has succeeded in its savings catcher app. It has combined price and loyalty factors, so the customers need not visit multiple stores to get the best deals and redeem their loyalty points. Blockchain-based loyalty solutions such as the one offered by Dewber, the global digital crypto loyalty program, actually help the businesses build loyalty by rewarding the consumer for the trend they want to emphasize. Dewber loyalty platform speeds up the process by eliminating the unnecessary blockers and making possible the more number of transactions with a smaller number of points. 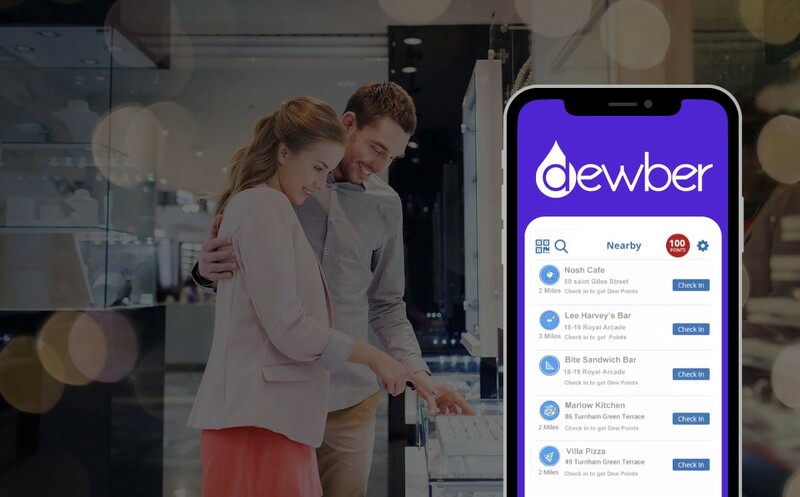 The new cryptocurrency launch by Dewber brings innovation in loyalty ecosystem by allowing the business efficiently run their customized loyalty programs to engage and retain the customers. It replaces traditional loyalty points with Dewber points or tokens. Dewber tokens could compete with any top cryptocurrency for its usage, it can be earned by the consumers with every purchase. Businesses can award them against equivalent purchase value. In Dewber loyalty ecosystem, the businesses can tokenize their loyalty points in the form of Dewber Token (DBRX) and award them to the customers. Businesses will be provided the Dewber technology and platform for free to have the ability to run their personalized campaigns. By allowing for frictionless on-blockchain transfer, Dewber allows the consumers to redeem their points anywhere in the world and even exchange them with other crypto tokens. Participate in Dewber ICO to get the full advantage of its innovative loyalty platform. Presale of Dewber tokens will begin early 2019. To get more details of this new cryptocurrency launch and how to obtain the most profitable cryptocurrency, visit www.dewber.io and read its detailed white paper.